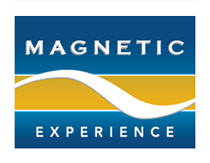 Our Magnetic Experience Magnetic Necklets may assist with temporary pain relief in the neck and shoulder regions and work in the same way as all our Magnetic Therapy products. Our Australian Made Magnetic Hemitite Bead Necklets are made on retractable stretch gel in 46cm & 56cm lengths and come in a variety of hematite styles. Our Magnetic Stainless Steel Necklets are available in 46cm length only and come in a variety of styles. 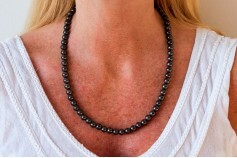 Magnetic Necklets should always be removed before showering or swimming. ​​Price includes FREE POSTAGE & HANDLING within Australia.